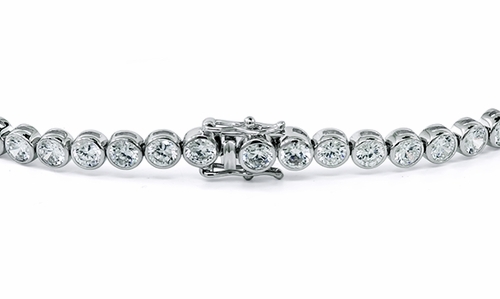 Our 8.5 Carat Bezel Set Round Cubic Zirconia Bracelet features cubic zirconia rounds that are individually bezel set. 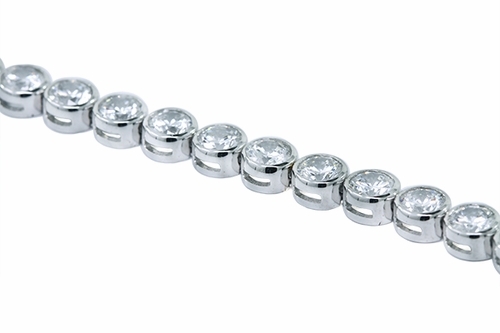 Each .25 carat diamond quality lab created laboratory grown cubic zirconia stone measures 4 millimeters in diameter. The finest hand cut and hand polished original Russian formula cubic zirconia is hand cut and hand polished to exact diamond specifications. 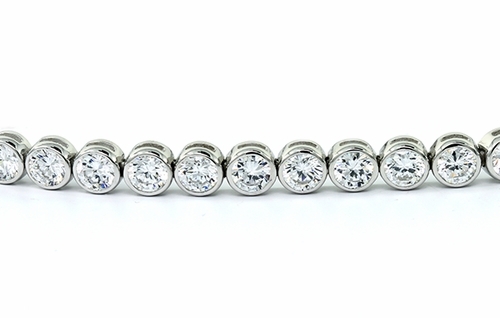 Choose from 14k white gold or 14k yellow gold. 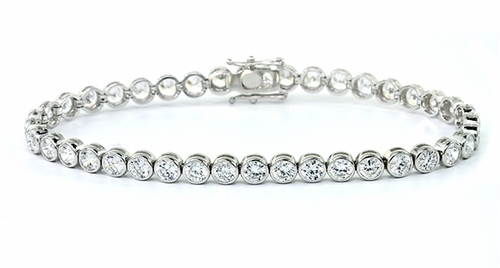 This bracelet comes standard in a 7 inch length and an 8 inch length is offered as an upgrade, please see the pull down menu for options. For further assistance, please contact us directly at 1-866-942-6663 or visit us via live chat and speak with a knowledgeable representative.